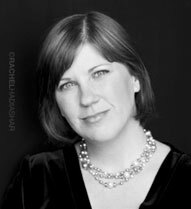 Stephanie Kramer, mezzo-soprano, has been singing professionally in Portland choral ensembles for the past 20 years. She has sung with noted local ensembles Cantores in Ecclesia, Cappella Romana, Portland Baroque Orchestra, The Ensemble, Resonance Ensemble, Portland Pro Musica, and Choral Cross-Ties. She is an alto section leader at St. Mary’s Cathedral, a member of the Trinity Episcopal Chamber Singers, and the Schola of Congregation Beth Israel. She is also proud to be a member of Choro in Schola, a group of pro singers who work with high school choirs and help raise awareness of the importance of Arts education in our schools. Stephanie was a regular member of Cantores in Ecclesia from 1996 - 2006, and is grateful to be able to rejoin them on a yearly basis for the Byrd Festival.